The Waikoloa Residential Real Estate market, along with most of the Big Island and State, is returning to robust health, shedding distressed properties and beginning its upward price climb as the number of homes on the market falls. The University of Hawaii’s Economic Research Organization charts following the average sale prices since 1980 indicate 8 to 11-year periods or cycles between the high points and low points of market activity and value. They saw our low point in the 2nd quarter of 2009 and their data since indicates definite rise in values. Please note that these are statewide reports. The Big Island markets in general (Hualalai Resort and Kukio live in their own worlds) tend to lag behind Oahu but as this Waikoloa Village Report clearly shows; we are in about the third year of recovery. Given the length of previous Real Estate cycles, can we expect another bubble in 2017? Maybe…who knows what forces will affect the pace of recovery but at this point, a healthy market is upon us. Looking at the Waikoloa Residential market we see a small first quarter average sale price drop of 3.3% from the 4th quarter of 2012. This small decrease in the 1st quarter 2013 low can be attributed to the short sales entered into escrow many months before in 2012 finally closing. Short Sales usually endure long closing periods while negotiations go on between the lender and the borrower/seller. One short sale opened escrow last July 5th but did not close until March 15th of this year at $250,000. This price reflected an earlier market. Yet the 2013 1st quarter bottom price of $224,900 was a pretty awesome 27% higher than the low 2012 first quarter price of $175,000. The 2013 1st quarter average price of $335,369 was 21.6% higher than the 1st quarter 2012 average price of $275,732. We also saw a decrease in number of sales given the decreased inventory at the end of 2012. At the same time we had the highest sale in over 6-months at $620,000. This is a 28% increase over the 2012 1st quarter high sale of $445,000. So if that wasn’t exciting enough; the second quarter was crazy!! We not o nly saw significant changes comparing 2nd quarters of each year but also when comparing the first to the second quarter of this year. The lowest price rose 8% quarter to quarter, from $224,900 to $243,000 but an amazing 37% year to year. (Q2 2012 low price was $177,000). But it gets better when we compare the highest priced sale; a 45% gain over the same quarter of 2012 ($440,000 in 2012 vs. $640,000 in 2013) and a minor 3.3% increase over the 1st quarter high price of $620,000. We see the number of sales in this range increasing with the market prices. People who were not distressed could afford to wait for a better market to move. It got better and they moved. They increasing quality of homes entering the market indicates they are still moving!! There were 4-sales over $400,000 in the 1st quarter of 2013 but 11-sales over $400,000 the 2nd quarter. Compare this to 2-sales over $400,000 in the 1st quarter of 2012 and 3-sales the following quarter of 2012. The number of distressed sales dropped significantly compared to the number of short sales in the 1st quarter of 2012; 11 distressed sales in the first quarter of 2012 down to only six selling the 1st quarter of 2013. We still see some a few homes around the village in various stages of neglect that for some reason are not being brought to market by their Lender owners. However, lenders prefer to sell at the low end of the market once they decide to sell. Not at this time expecting to see these depreciate the market once they are available. The inventory of homes on the market is at its lowest in 10-years at least. We began this week with 28-homes for sale in Waikoloa but 4-homes were just listed to bring us up to a total of 32. There are 23-homes under contract to sell. From January 1st of this year we saw 48 homes sell. This translates to a less than 4-month supply of homes on the market. Low inventory levels put pressure on prices to move them up at a steady pace. If the trend continues we may see quarterly appreciation of approximately 4%. Trends can never be guaranteed given the influence of so many outside factors , (famous disclaimer “past performance is not necessarily indicative of future performance”) but things are definitely looking bright in the Waikoloa Residential market. 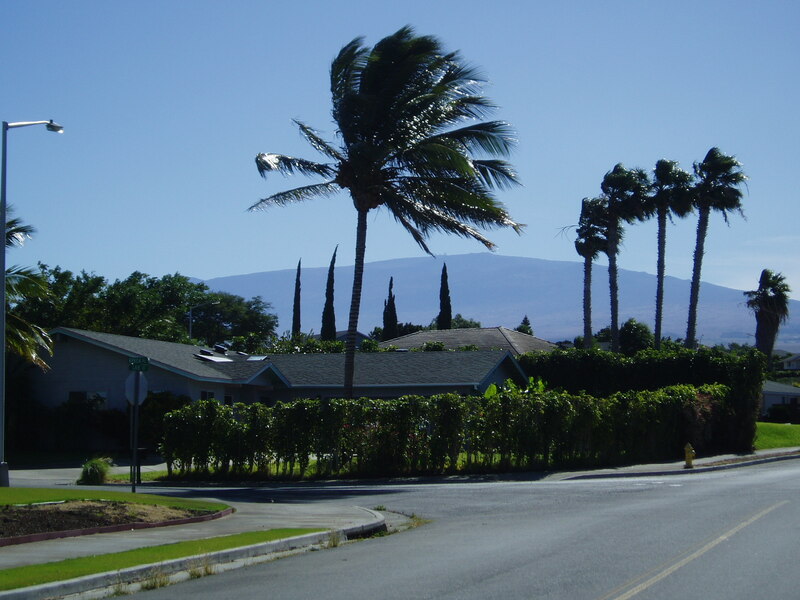 Click here to see the report covering the current state of the Waikoloa Residential real estate market. The Waikoloa Village condo and land market analysis is under way and should be in your mailbox soon. Please call or email if you thinking it might be the time to buy (interest rates still low, prices going up) or sell or just to talk about the market. As always, stay well; take care and a hui hou! Recently I was fortunate enough to view these extraordinary properties in the North Kohala area of the Big Island. Properties like this really and truly are not on the market often or for very long. They are located very near each other in the south side of North Kohala. North Kohala is an area of Hawaii unlike any others; renowned throughout time for its abundance of natural resources and beauty. The first property is in Puakea Bay Ranch Subdivision. It is a “front row” vacant lot of approximately 10 acres of pastures virtually, but technically not, oceanfront. At $999,000 it is a very good price for this amount of land so near the water. Plus the opportunity to take over the financing makes it even more special. Click here to link to the information. Almost directly mauka, but reached in a roundabout way, is another absolutely rare property. 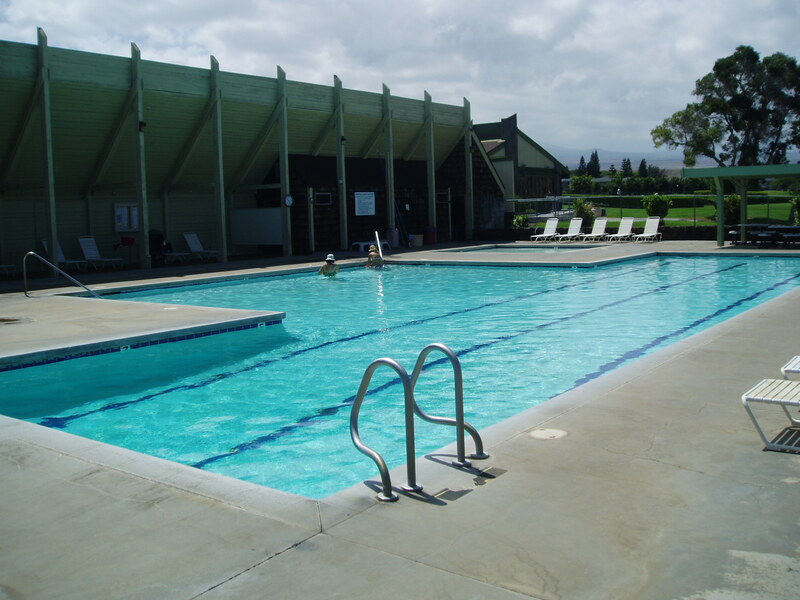 It is the embodiment of the North Kohala upcountry style by its architecture and its place. There are two very separate homes plus a detached guest home offering a total of 6 bedrooms and 4 baths on approximately 8.75 acres. One home is a very simple 3-Bedroom, 2-bath home in great condition. The other home was created by the architect who designed Koele Lodge on Lanai; Norman Hong. There is a “Territorial Plantation” feel to it. The detached guest suite is presently used as an office. You could not ask for a prettier setting. Or a more private setting. 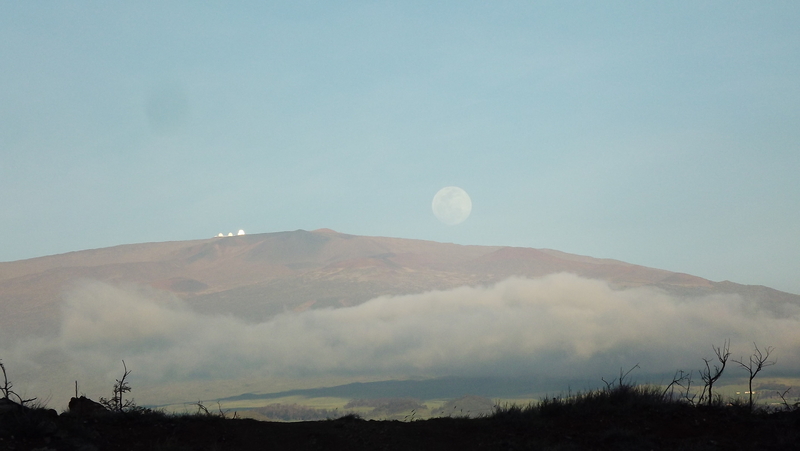 The landscape is enhanced by the panorama of beautiful Kohala country and ocean views. Click here for more information about this house. 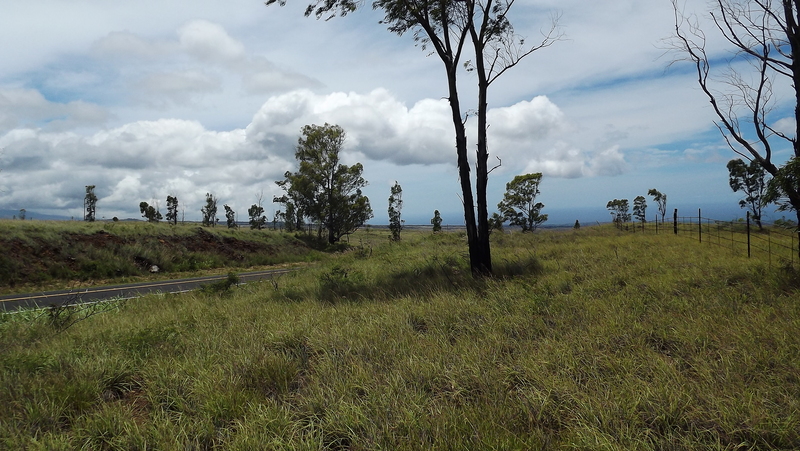 Places like these make me really love the fact that my profession offers the opportunity to visit the rare, the beautiful, the truly special lands and homes of the Big Island as part of my “Job”. Even better, is the satisfaction of finding their new owners who will love and care for them, turning these special places into their special homes.